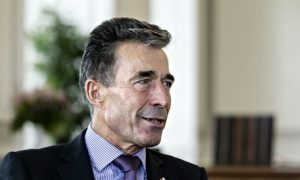 The Guardian reports that NATO chief Anders Fogh Rasmussen said the organisations’s summit in Cardiff next week would overcome divisions within the alliance and agree to new deployments on Russia’s borders. “We will adopt what we call a readiness action plan with the aim to be able to act swiftly in this completely new security environment in Europe. We have something already called the Nato response force, whose purpose is to be able to be deployed rapidly if needed. Now it’s our intention to develop what I would call a spearhead within that response force at very, very high readiness. NATO plans to establish a permanent network of operational military bases across Eastern Europe trampling the pledges of the West not to expand the military presence to the East. NATO continues its march towards the Russia’s borders demonstrating a total absence of free will and clearly exhibiting the intentions of escalating the military standoff with Russia. Ironically, NATO’s latest enlargement plans are being opposed not just by Russia, but by its very members, some of whom do not see the point in aggravating tensions with Moscow. The most outspoken support for the expansion plans comes from the most distant members – U.S. and UK. 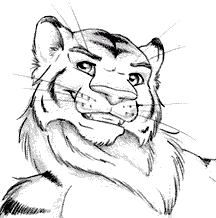 Other members, like France, Spain and Italy, clearly expressed serious concerns with the military plans. Germany remains noncommittal for the moment. Remarkably, Rasmussen asserted that Russia “does not consider NATO a partner,” when it was NATO that flat-out refused Russian participation in the controversial US missile defense system, also planned for Eastern Europe. Such cooperation could bring to end years of mutual suspicion and antagonism between the cold-war era foes. Instead, the US and NATO opted to try to keep Russia isolated, ensuring nothing less than another full-blown arms race. Meanwhile, there is no question as to how Russia views NATO’s relentless eastward encroachment.